It's time for the Big Bash and the bookies are all fighting for your betting dollars. One way the bookies get you to deposit and bet with them rather than their competitors is by offering promotions. Promotions to entice you to deposit in the hope you keep betting and eventually hand your hard earned dollars over to them. Below you will findlow-risk risk methods that allow you to gain an advantage over the bookies with the promotions they offer. You can click through for each offer for a more detailed explanation. If you need more help to understand how to take advantage of these offers please ask in our community or by jumping on live chat. Back a team to win the BBL and score up to $10 cash for every match your team wins, up to the total value of your stake. Back a team in the Big Bash winner Market and lay the same team in Betfair. Look for the team whose back odds at TabTouch most closely match the lay odds at Betfair. You will have a small qualifying loss but make that back in bonuses as soon as your team wins a couple of game. To find a close match you can either manually compare the odds and use our matched betting calculator or for a quicker method use our odds matching software . This offer favours getting on one of the favourites for the Big Bash as they are more likely to win more games. Find a team who’s odds closely match the lay odds on Betfair. Calculate your back and lay stakes with a matched betting calculator. You are usually better off backing the favourite, as they are more likely to win the game. However, backing a favourite may incur a larger qualifying cost as you are having to stake more with Bet365 in order to win $100. We would recommend to pick the selection that costs the least to match with Betfair. The Offer hit on 5 of the games last year. It's a great opportunity to get a high return for minimal risk/outlay. The offer again favours the higher socring grounds. Adelaide Oval, Gabba and Etihad. This offer can produce negative expected value if you're not taking the right price. Ensure that you're losing no more than 4% of your back stake when backing/laying. Place a Head to Head bet on Thunder vs Stars and if Glenn Maxwell scores 35+ runs, we'll double your winnings in cash up to the first $25 of your stake. This offer is better to be placed on the outsider. As your winnings will be more when doubled. If your team wins the Powerplay but loses, get your money back up to $50 in bonus bets. You're eligible for the offer on one Play Up account per person! 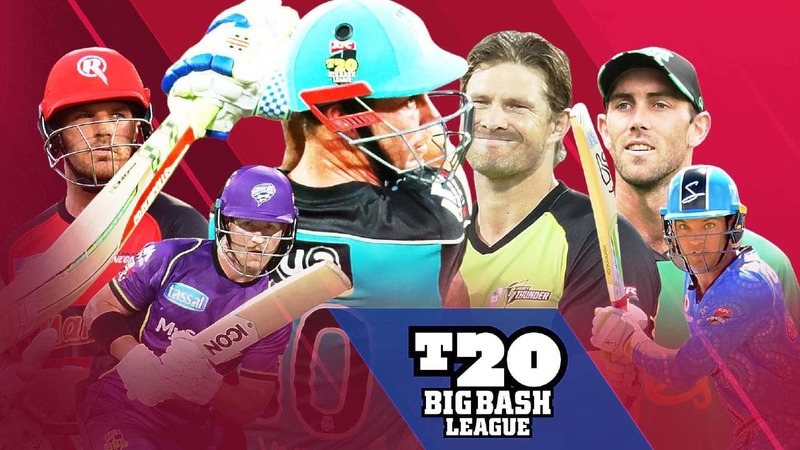 Place a High Bat bet on any Big Bash League match with your TAB account and, if your player hits 30+ runs but doesn’t top score, get a Bonus Bet back up to $50. Find a close match between the TAB High Bat Market and the Top Team Batsman Market. Back and Lay the closest prices. You can play this offer on each team per game. Since the beginning of the Big Bash, there have been 33 games out of the 247 where a 6 has been scored in one of the first overs. There are a couple of venues where there is still +EV. You also have to select which team will hit a 6 in their first over. So essentially, half the above %'s. We ONLY suggest playing if you are able to deal with losing your back stake and only at the above two venues. Any other venue has a negative expected value.